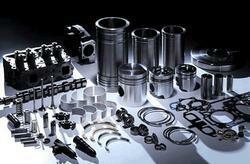 To meet the highly demands of the clients, we are involved in trading, exporting and retailing Generator Spare Part. Our customer can avail this Generators Spare Part are market leading price. 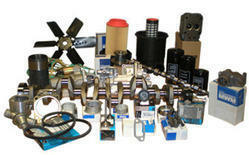 We are catering to the various needs and requirements of our esteemed customers by offering Generator Parts. These parts are sourced from noteworthy vendor organizations of the industry. 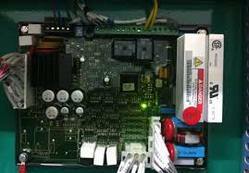 Our vendor organizations are assisted with some experienced engineers who design these parts ideally used to be in various types of generators. We also wrap these parts with standard packing material before their final dispatch. 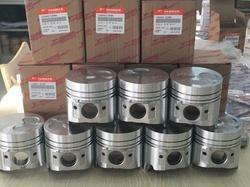 Backed by a diligent team of professionals, we are engaged in offering our clients with high quality Cummins And Catrepilar Engine Parts. This product is widely acclaimed and is highly demanded among our clients across the country, owing to its optimal quality, low maintenance, easy usage and energy efficiency. Further, our range is easily available in the market at competitive rates. Moreover, we provide this product in varied specifications to meet the exact requirements of our valuable clients. We have marked a distinct and dynamic position in the market by providing a high quality array of Cummins Generator Engine Parts. The offered part is manufactured using premium grade metal and sophisticated techniques under the surveillance of trained professionals. It is made available in different shapes and sizes for our clients to choose from. 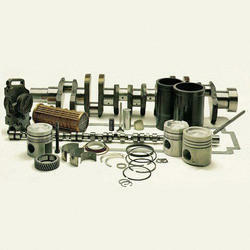 Our offered part is widely used for repairing and manufacturing engine of generator. Clients can avail this part from us at market leading price. We are enlisted as the leading manufacturer and supplier of DG Set Spare Part. 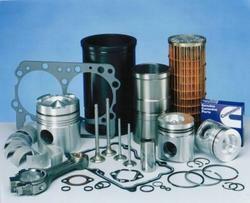 Due to the able support of our professionals, we are able to provide our customers with very reliable spare parts. Our ranges of products are well known in the industry for their high durability, resistance to corrosion and high functionality. We also provide spare parts across products and help in satisfying the needs of our customers in the best possible ways. They are easy to install and requires minimum maintenance. 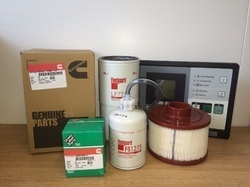 Owing to the expertise of our skilled and experienced professionals, we are able to offer an extensive range of Cummins parts that is manufacture according to set industry standards. The offered range is manufactured from superior grade raw material with the help of advanced technology. Further, this pump is checked by our quality controllers on well-defined parameters in order to ensure its quality. Clients can avail the offered range from us at market leading prices. 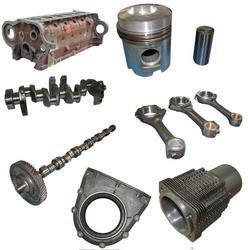 We offer wide collection of Diesel Engine Spare Parts, precisely manufactured in various shapes and dimensions. 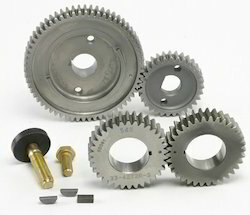 These are made of pure metals and used in several engine requirements. We offer ample varieties to meet the demands of our clients. Our products are quality tested in line with international guidelines. These are highly anti corrosive and rigid in construction. We are widely recognized in the industry by offering an exclusive assortment of Genset Spare Parts that are stringently examined against various quality parameters. Wet type cylinder liners are centrifugally cast of alloyed iron to assure high heat and fracture resistance mixed with small quantities of copper/nickel, manganese and chrome to increase the strength. Its function is to provide durable chamber to direct combustion pressure, seals the water jacket which surrounds and cools the liner and to transfers combustion heat to coolant, it guides the piston for its working and provides long life and replaceability. Known in the market as a manufacturer, supplier, exporter, wholesaler, trader, retailer and importer, we are engaged in providing our clients with a wide range of Cummins parts. 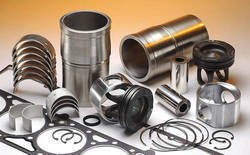 Our offered seals are manufactured with precision in tandem with the international quality standards. Moreover, with the support of vast distribution network, we are able to dispatch our product-line on-time to the customers' premises. Looking for Genset Spare Parts ?